The SC 4 boasts a removable water tank and variety of attachments, making it an essential choice for homeowners looking to achieve a high standard of cleanliness. The Kärcher SC 4 puts the effective power of steam into a powerful and lightweight package, harnessing the dirt-shifting power of pure, continuous steam to deliver amazing deep cleaning results from nothing more than tap water. The SC 4 includes a refillable water tank for uninterrupted cleaning, and makes light work of dirt, limescale and stubborn stains around the home, as well as keeping your hard floors clean and fresh. This versatile steam cleaner includes on-board storage for tools and accessories, with all the attachments and brushes you need for cleaning every corner of your home. It’s great for removing tough grease from oven doors and hobs, everyday dirt from hard floors, stubborn stains from upholstery and carpets, and even limescale and mould from tiles and taps, leaving your home effortlessly sparkling with no chemicals or scrubbing. 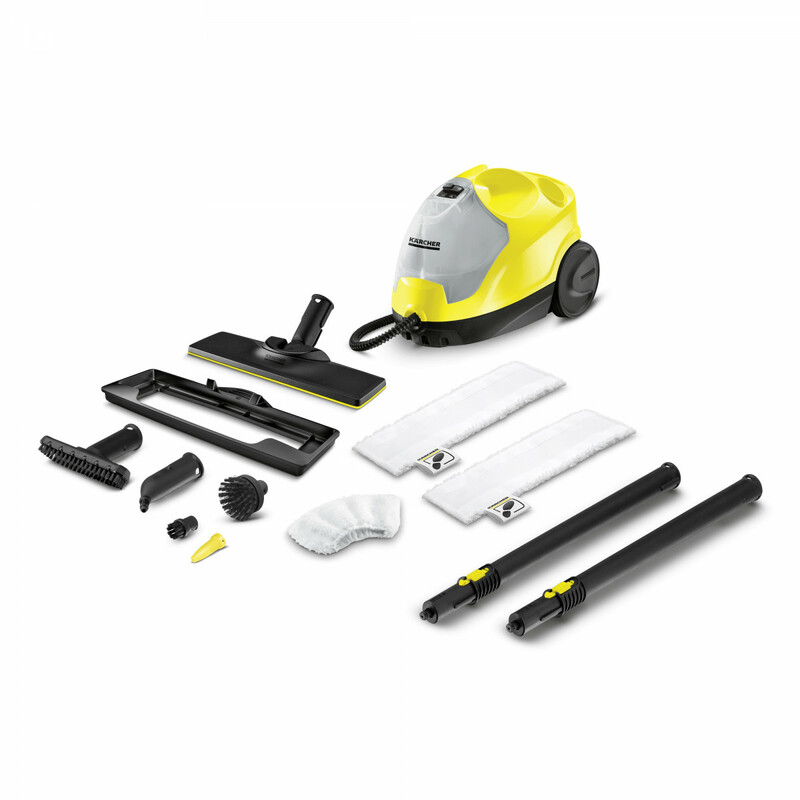 The SC 4 includes a hard floor cleaning kit, for effortless deep cleaning of tiled, stone, wood or laminate floors.